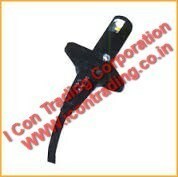 Icon Trading Corporation, Kolkata, India is the worlds most reliable source for Oil & Gas Burner Photocells & U.V.Cells. We import and supply Siemens oil burner photocells, Siemens Flame sensor, Siemens flame detector, Siemens gas burner U.V.cells, Siemens gas burner flame detector, Brahma oil and gas burner photocells and U.V.cells, Brahma burner flame sensor, Brahma flame detector, Satronic photocells for oil burners, Honeywell flame detector for gas burners. 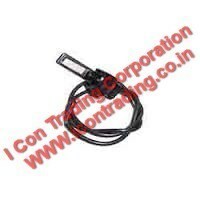 Icon Trading Corporation, Kolkata Dealer, photocells and U.V flame detectors for Oil and gas fired boilers, we keep ready stock for Thermax boiler burner photocell, Nestler boiler photocell, Iaec boiler photocell, Westorwork boiler photocell, Kessel burner photocell, Heat pack boiler photocell, Laxmi boiler photocell, Sai tech boiler photocell, Ima boiler photocell, Maxima boiler photocell, Neotech boiler photocell, Forbes marshall boiler photocell, Elite thermal boiler photocell, 3 M boiler photocell, Saz boiler photocell, Industrial boiler photocell, Cheema boiler photocell, Synergy boiler photocell, Energypack boiler photocell, Double ace boiler photocell, Fuelpac boiler photocell, Patel boiler photocell, Unitherm boiler photocell, Hi therm boiler photocell, Shivam boiler photocell, J.N Marshall boiler photocell, Cethar vessel boiler photocell, Tauras boiler photocell, Hot air generator photocell etc. 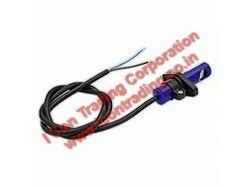 Icon trading corporation,Kolkata DEALER Siemens Photocells, Flame Sensors & UV Detectors ,Honnywell Photocessr with the most competitive rates. 2 Siemens (landis & gyr) photocell ,flame sensor qrb-1a/ qrb-1b. 13 Siemens (landis & gyr) photocell, uv flame detector qra-55c27 etc. We are well known entity offering superior quality Siemens Flame Sensor RAR9 for different burning processes used in industries. Our offered sensors performs their effective function of conforming the start up of burners' flame and to notify the operator in case of no lit up of burners. Owing to their procurement from most entrusted vendors, these sensors are much more faster and accurate than their competitors in the market. 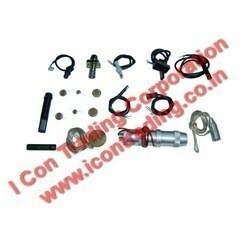 Apart from this, we supply these sensors in tamper proof packaging at equitable price range. 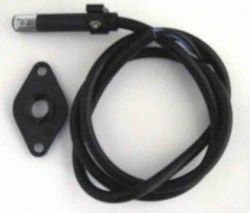 Oil and gas burners and spare parts. In tune with customers' diverse needs, we are involved in supplying and trading wide array of Industrial Photocells. These photocells are known for their excellent functional performance and optimal sensitivity due to their procurement being done from most trusted vendors. We adamantly inspect our procured from products as per latest quality norms for ensuring their long life functionality. Furthermore, these photocells are available with us in varied designs for variegated uses in industrial burning process. 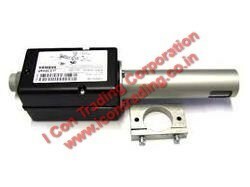 Icon trading corporation,Kolkata DEALER offering a complete range of Honnywell Burner Flame Detector/sensor with the most competitive rates. 7 Brahma (U V) ultraviolet detector for gas burners. 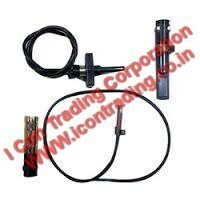 ICON TRADING,KOLKATA DEALER India is the worlds most relible source for Oil & Gas Burner Flame Sensors, Detectors, Photocells & U.V.Cells. We import and supply Siemens oil burner photocells, Siemens Flame sensor, Siemens flame detector, Siemens gas burner u.v.cells, Siemens gas burner flame detector, Brahma oil and gas burner photocells and u.v.cells, Brahma burner flame sensor, Brahma flame detector, Satronic photocells for oil burners, Honeywell flame detector for gas burners. We are among the prominent organizations engaged in trading, supplying, distributing and wholesaling Hot Bed Press. These presses are procured from the authorized vendors of the market, who ensure to follow the norms and standards already set by the industry. 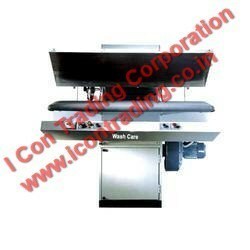 All these hot bed presses are widely used in hospitals, hotels, defense services and nursing homes for pressing of linens, uniforms and other flat items. After procurement, these presses are tested on variegated parameters of quality and then forwarded to the customers. Looking for Photocells, UV Cell and Flame Sensor ?